This artifact is some kind of jewelry made from gold. It was found on Colombia, it was dated around 1000 CE. It was made by the Quimbaya civilization, a pre-Colombian culture in South America. It was found together with other shape of gold works. 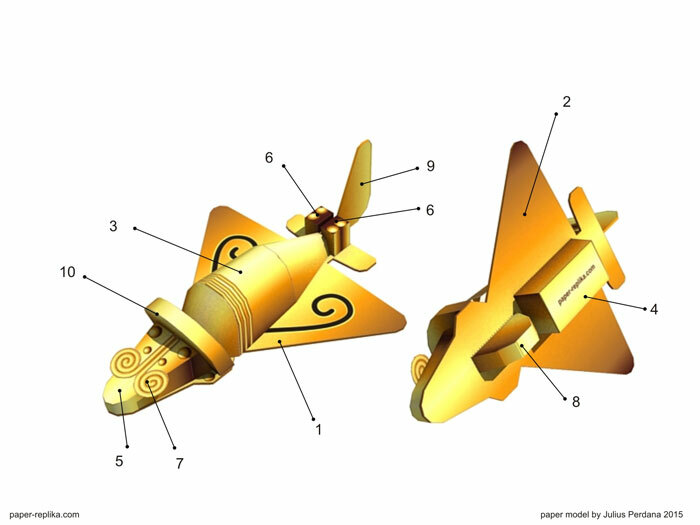 The airplane design shape often made it associated with advanced technology from ancient time by many ancient astronaut theorists. Archeologist believed it was part of zoomorphic, animal shape objects. 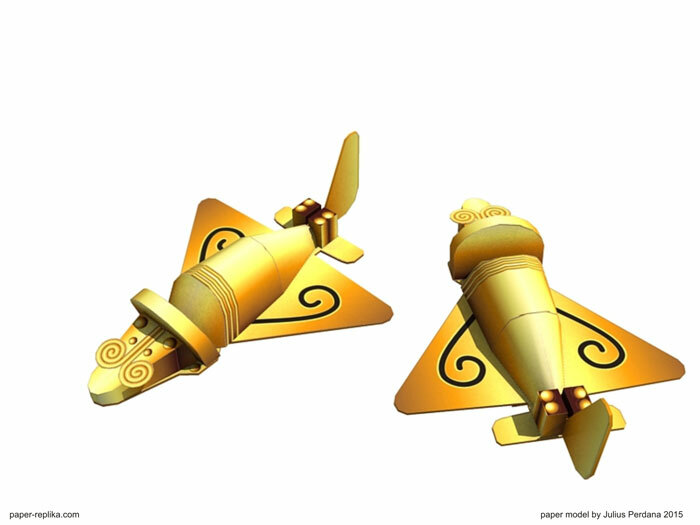 In 1994, Peter Belting and Conrad Lubbers created an RC aircraft using this Quimbaya airplane shape and it could fly. In my opinion, I am an RC aircraft maker too, from what I learned whatever the shape as long as it has wing, power and have the correct balance on the Central of Gravity the airplane will flying, even you can make a lawn mower shape to fly. I think it's more like a flying fish than an airplane.